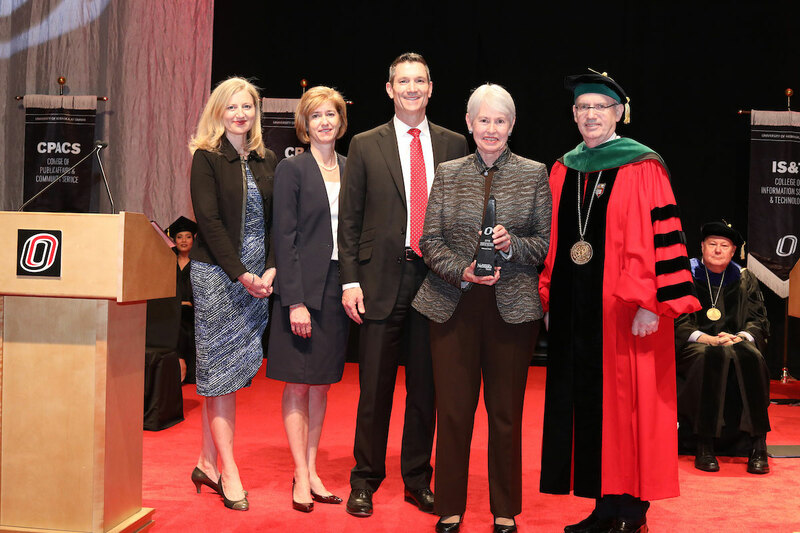 The University of Nebraska at Omaha presents highest honors to the College of Business Administration’s associate dean and two distinguished alumni. During May 2018 Commencement, thousands of Mavericks earned their diplomas and the University of Nebraska at Omaha recognized several individuals for extraordinary service and achievement—including three from the UNO College of Business Administration. Congratulations to Dr. Lynn Harland, CBA associate dean, as well as the Anderson family and Ivan Gilreath for their career and community achievements. 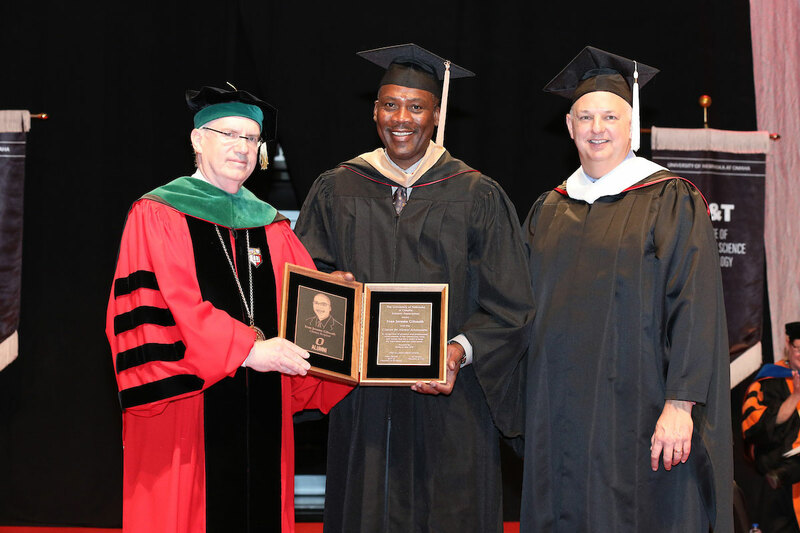 The UNO Alumni Association’s highest honor, the Citation for Alumni Achievement encompasses career achievement, community service, involvement in business and professional associations, and fidelity to the university. Ivan Gilreath earned an MBA from UNO in 1989 and was named a College of Business Administration Distinguished Alumnus in 2002. He is a lifelong Omahan who attended Kellom Elementary, Horace Mann Junior High School, Omaha Central, and Omaha Bryan High School. Growing up, he was active in the North Omaha Boys Club. Gilreath has served as president and CEO of the Boys & Girls Clubs of the Midlands (BGCM) since February 2011. Gilreath oversees 11 clubs in metropolitan Omaha and southwest Iowa and Camp Nakomis, an outdoor summer camp. The club serves more than 7,000 children and teens, many of whom are minorities, economically disadvantaged, and living in single-parent households. The Order of the Tower is awarded to individuals whose exemplary service and/or financial support have advanced the mission of UNO. Talton “Tal” Anderson grew up on a farm outside Stanton, Iowa. In 1957, he began attending the University of Omaha on a partial athletic scholarship and working part-time pumping gas at a Texaco station owned by Johnny Baxter. A gifted salesperson, he left college after two years to grow his career. His hard work and dedication earned Mr. Baxter’s trust. He bought shares in the business over the years, becoming sole owner by 1984 – the same year he completed his education, earning a bachelor’s degree in business from the University of Nebraska at Omaha. Tal was named a College of Business Administration Distinguished Alumnus in 1992. 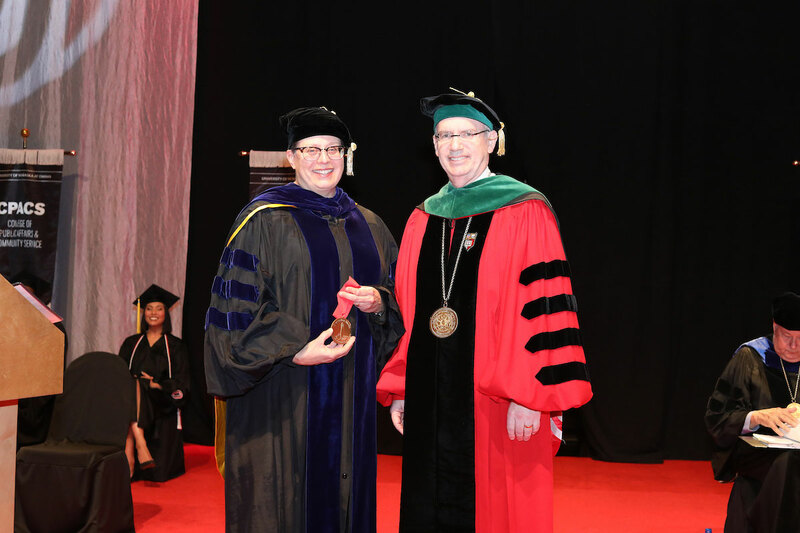 The Chancellor's Medal recognizes a faculty or staff member’s extraordinary service to UNO. Lynn Harland, Ph.D. is a professor of management and the associate dean of the UNO College of Business Administration. She received her B.A. in industrial/organizational psychology from Purdue University and her Ph.D. in organizational behavior with a minor in human resources from the University of Iowa’s College of Business. Harland joined UNO as an assistant professor of management in 1989 and has taught undergraduate, MBA, and Executive MBA courses in management and leadership, as well as executive education seminars in the banking, utility, transportation, health care, and insurance industries. Prior to joining BGCM, Gilreath was president of the employee benefits division at global financial institution ING. That preceded a 20-year career at Mutual of Omaha, where Gilreath held several positions, including senior vice president of three departments. He began his career at Xerox Corporation, where he became district financial control manager. He also was selected for Xerox’s leadership development program and named a top-rated manager. Gilreath’s involvement in the community includes membership in Nelson Mandela School, Avenue Scholars, Jesuit Academy, Big Brother/Big Sisters, Boys to Men Book Club, and the UNO College of Business Administration’s National Advisory Board. He previously served organizations including Susan G. Komen, the University of Nebraska Medical Center, the Omaha Chamber of Commerce, Children’s Hospital, the Urban League of Nebraska, and others. That includes service on the Omaha Public Schools Desegregation Task Force. Gilreath also is founder of the Midwest Trailblazers. His honors include the Whitey M. Young Leadership Award from the Urban League of Nebraska, the Living the Dream Award from the City of Omaha, and the Distinguished Alumni award from UNO’s College of Business Administration. Gilreath received a BSBA in 1982 from the University of Nebraska-Lincoln, where he played one season for the Husker basketball team. He and his wife, Rita, have two adult children. Mary Joy LeClair grew up in Omaha, graduated from Creighton University, and went on to work for United Airlines. She and Tal married in 1965 and together they raised three children, Lisa and Mickey Anderson, and Angie Anderson Quinn. They have eight grandchildren. Mr. Anderson passed away in 2009, handing the business over to Mickey and Angie. Baxter Auto Group has grown to 20 dealerships, employing more than 1,800 automotive enthusiasts in Nebraska, Kansas, and Colorado. Over the years, Tal and Mary Joy Anderson provided abundant opportunities for youth. Mr. Anderson co-founded a local chapter of the Children’s Scholarship Fund, served on several UNO boards, and was a long-serving member of the Boys Town Board of Directors. Mary Joy Anderson has held leadership positions with St. Margaret Mary Church & School, Child Saving Institute, Marian High School, Big Brothers/Big Sisters, the Omaha Symphony, and others. Mickey Anderson and Angie Quinn have been steadfast supporters of the University of Nebraska at Omaha and the Omaha Mavericks, having served on numerous university boards and generously supporting the One Fund for Athletics. 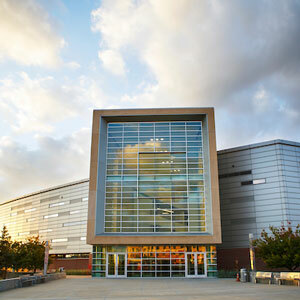 In 2015, Mickey and Angie honored their family’s long-standing connection with UNO and dedication to the Omaha community by gracing UNO’s Baxter Arena with their company’s name. Harland has published research articles in areas such as leadership, employee resilience, workplace fun, expatriate selection, procedural justice, peer performance appraisals, influence tactics, and personality testing. Harland currently serves as the director of outreach for UNO’s Center for Collaboration Science and has served as the chairperson for the Department of Marketing and Management. Her consulting activities include employee selection validation studies in police and fire departments, and in the utility, health care, and manufacturing industries. An experienced facilitator, Harland provides strategic planning facilitation for non-profits, for-profits, educational institutions, and elected bodies as well as consulting in the areas of executive assessment/development and in developing and implementing 360-degree performance appraisal systems. Harland received the UNO Excellence in Teaching Award in 2003. In 1999 and 2002, she received the College of Business Administration Dean’s Citation Award for Teaching, and in 1997 and 2004 she received the MBA Outstanding Professor of the Year award. Harland served as president and program chair of the Midwest Academy of Management and currently serves on the editorial board of two academic journals. Since 2009, she has served on the statewide Spirit of Nebraska Girl Scout Board of Directors, where she currently serves as board secretary.